Wrap up warm and eat well in Sheffield this winter. The scene has been well and truly set in Sheffield city centre for Christmas’ return – and we’re ready to tuck in to some scrumptious seasonal delights as the nights grow bleak and we need refuelling after a busy day getting Christmas sorted. As you will be (joyfully) aware, Christmas is a time to celebrate, and makes for the perfect excuse to choose luxury over the norm/healthier options. With that in mind, see where you can delve into the festivities taste bud-first as we share our top five festive drinks and dishes to enjoy in #SheffAfter5 tonight! Taking inspiration from our friends across the pond, the Division street pub introduced its latest festive food earlier this week. Enter the Christmas corndog: pig in blanket rolled in sage and onion stuffing, deep fried and served with cranberry sauce - we’ll take three, ta. If that doesn’t take your fancy, then we know this will. Try the festive burger for tea this winter and chow down on a beef burger smothered in brie with cranberry sauce, smoked streaky bacon and stuffing accompanied by pig in blanket fries with gravy. Not one for the faint-hearted, this is Christmas in burger form. Fancy a tipple to finish things off? Why not try the fresh alternative to mulled wine: sip on a hot gin Toddy this yuletide and enjoy the flavours of Tanqueray gin’s Flor de Sevilla with lemon juice, apple, orange and a scorched cinnamon stick. Spread the festive feels at Campo Lane’s resident pizzaiolo this Christmas and bring along your pals for a festive sharing feast set menu. Have a ‘Crafty Christmas’ for £14 (or £20 with two glasses of fizz) and enjoy margherita pizzas, turkey and cranberry meatballs, baked camembert, a selection of charcuterie, garlic tear ‘n’ share with pesto and aioli, squash and feta salad with pomegranate and seasoned fries (if you can fit it all in!). Vegan? Fill your boots with vegan margherita pizzas, courgette fries, baked falafel and hummus, winter slaw, garlic tear ‘n’ share, squash and beetroot salad with pomegranate and seasoned fries. Y-u-m.
With a minimum party of four, consider this the perfect chance to catch up with everyone over fab food before the New Year. Book your table ASAP online, or call 0114 272 2150. Got a few more than a handful of mates wanting to celebrate the most wonderful time of the year? The festive buffet menu is made for you (minimum party of 15). Find out more about this here. Christmas has arrived at Sheffield’s favourite burrito spot! 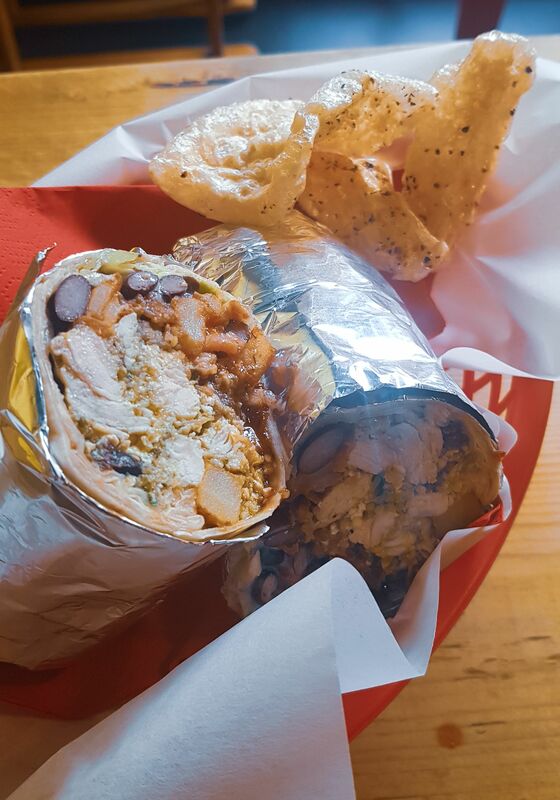 At Street Food Chef the Christmas burrito has officially landed, providing a perfect lunch or post-work festive feed if you’re on the go this winter. With black beans, salsa verde turkey, streaky bacon, sage and onion stuffing, potatoes, sour cream, red currant and prune salsa and lettuce, sprinkled with pork scratchings, you’ll not go hungry that’s for sure. Deck the halls vegetarians! SFC will be wrapping up parcels of pure joy this season as they serve up courgette and mushrooms in salsa verde, with potatoes, black beans, stuffing and prune and cranberry salsa – get in our festive bellies. Forum has turned it up a notch this year and is serving up some pretty tasty treats to keep you warm in the city. Try its 16" festive pizza, consisting of turkey, pigs in blankets, cranberry sauce, broccoli and stuffing, for £14 or go for a slice (1/4 of the pizza) for £3.50 from its slice bar. We’re particularly excited to try the honey glazed salmon fillet with creamed leeks and the braised beef shin with caramelised shallot and stout gravy from its dedicated Christmas set menu. If you book to eat out before 12 December, you can enjoy three courses for £17.95! See the Christmas menu in full here. Soak up that pizza goodness. Wash it all down with a Christmas cocktail or two - Espresso Martini or Merry Berry (vodka, triple sec, cloudy lemonade and cranberries) anyone? Tuck yourself away in a corner of West One plaza’s top people-watching spot and sip on something a little different as you count down to Christmas. Looking for something to sate your insanely sweet tooth? Try the Mary Poppins Poppin’ Candy hot chocolate, topped with good ol’ lucky charms for good measure - snap, crackle and pop! Fancy a coffee but you want a bit’o sweetness? Try the all-new Nutcracker, which spruces up the age-old favourite – the toffee nut latte. Consider it a warm chunky-knit jumper hug on a chilly December afternoon. Last but by no means least, sample the Gingerbread Latte of the season (equipped with little gingerbread friend) and get your winter spice kick. Anyone who brings a friend who happens to have a ginger barnet will get a drink on the house! Head to 200 Degrees for a quick pick-me-up in the city as the cold snap settles in for the next few months. Spice up your cuppa and sip on its new winter brew tea to enjoy notes of warming spices, citrus peel, sweet almonds and even a hint of chocolate! (This drink contains nuts). After something a little lighter? Try its spiced apple cider tea instead, to really get in the mood for mulled drinks – minus the alcohol. Not forgetting what its best-known for, you’d better try out some of its own-roasted coffee while you’re there. We suggest the ‘Roast of Christmas Present’ for starters, which tastes of sweet berries and is 100% organic. The holidays have already arrived at this Sidney street tea bar and kitchen, where this yuletide you can enjoy wintry brews a-plenty, as well as hot chocolates galore to go with your cake slice of choice. Shake off the winter blues with a Tangerine Fizz blend of feisty orange and ginger – it’s the completely caffeine-free answer to keeping up with all that Christmas shopping and excitement. Treat yourself to a Peppermint Fudge (black) tea later, or maybe a silky-sweet caramel hot chocolate will do the trick? Find other seasonal must-tries, including Spiced Apple, Granny’s Trifle, Pine Forest and Christmas Pud served right up until 10pm at Birdhouse this Christmas – you’ll need to go back a few times just to sample them all! 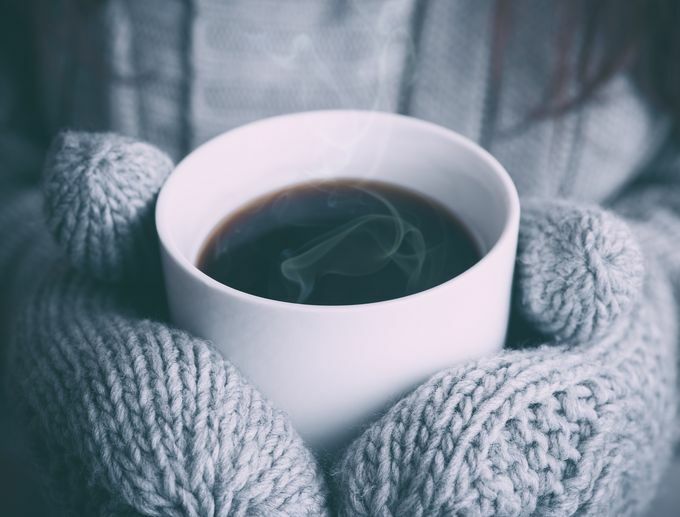 Fancy cosy vibes and Wintery snugness? Birdhouse evenings are where it’s at! Snuggle beneath the fairy lights, grab a blanket and sip our new Peppermint Fudge fog while ignoring the fact you haven’t even started Crimbo shopping yet 🙃☺️ we’re here until 10pm for everything wonderful ✨ because Winter evenings are for sharing good times, comforting food and delicious drinks 🥂😘 and if you fancy ticking off that list, our shop is open late too! Choosing from the nine (yes you’re reading correctly) hot chocolate varieties at Couch’s Campo Lane branch will be a tough one, but someone’s gotta do it, right? Whether it’s a spiced orange, gingerbread, black forest, honeycomb, salted caramel, After Eight, luxury, decadent or standard HC, warm your cockles sinking into a cosy couch and let the festive feels wash over you. You could even add a shot of amaretto, Bailey’s or O’Hara’s rum for an extra £2.50 or a shot of coffee for 40p (if you weren’t buzzing from the sugar rush enough already). All hot chocolates can be made vegan, with oat or soya milk and soya squirty cream. A fresh addition to Sheffield’s independent family is Wildwood, a place to re-charge on great coffee and homemade food and to pick up some unique artisan gifts while you’re at it. This Christmas it’ll be pouring plenty of Christmas cheer into its cinnamon and gingerbread espressos and gingerbread lattes, making sure us Sheffield folk are ready to take on the shops. Many city centre shops have extended their opening hours to ensure we squeeze every possible moment into sorting Christmas out. You can find all the shops involved here.